Dr. Mendelsohn is a physician-scientist, research leader and industry executive with broad experience in healthcare. He brings extensive experience as an industry and academic leader in research and development with a focus on molecular and cellular cardiovascular biology. From 2010 through 2013, Dr. Mendelsohn was the senior vice president and head of cardiovascular research at Merck Research Laboratories, with overall responsibility for the scientific direction of cardiovascular research from drug discovery through late development. 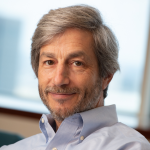 Dr. Mendelsohn joined SV Life Sciences as a venture partner in 2014, and in 2016 became executive chairman of Cardurion Pharmaceuticals, a cardiovascular company. Prior to Merck, Dr. Mendelsohn spent from 1993 to 2010 at Tufts Medical Center and Tufts University School of Medicine, where he served as the first chief scientific officer and was founder and executive director of the Molecular Cardiology Research Institute. From 1988 to 1993, he served on the cardiovascular faculty of Brigham and Women’s Hospital and Harvard Medical School. Dr. Mendelsohn completed an internal medicine internship and residency followed by a fellowship in cardiovascular medicine at Brigham and Women’s Hospital and Harvard Medical School. As a physician-scientist, Dr. Mendelsohn has studied signal transduction pathways regulating vascular and cardiac function and has published more than 150 papers. Dr. Mendelsohn received his B.A. from Amherst College in chemistry and English and his M.D. from Harvard Medical School.